I have recently detailed the COSO 2013 Framework in the context of a best practices compliance regime. However there is one additional step you will need to take after you design and implement your internal controls. 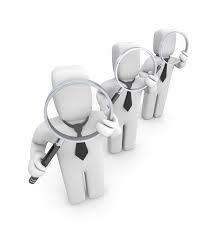 That step is that you will need to assess against your internal controls to determine if they are working. In its Illustrative Guide, the Committee of Sponsoring Organization of the Treadway Organization (COSO), entitled “Internal Controls – Integrated Framework, Illustrative Tools for Assessing Effectiveness of a System of Internal Controls” (herein ‘the Illustrative Guide’), laid out its views on “how to assess the effectiveness of its internal controls”. It went on to note, “An effective system of internal controls provides reasonable assurance of achievement of the entity’s objectives, relating to operations, reporting and compliance.” Moreover, there are two over-arching requirements which can only be met through such a structured post. First, each of the five components are present and function. Second, are the five components “operating together in an integrated approach”? Over the next couple of posts I will lay out what COSO itself says about assessing the effectiveness of your internal controls and tie it to your compliance related internal controls. As the COSO Framework is designed to apply to a wider variety of corporate entities, your audit should be designed to test your internal controls. This means that if you have a multi-country or business unit organization, you need to determine how your compliance internal controls are inter-related up and down the organization. The Illustrative Guide also realizes that smaller companies may have less formal structures in place throughout the organization. Your auditing can and should reflect this business reality. Finally, if your company relies heavily on technology for your compliance function, you can leverage that technology to “support the ongoing assessment and evaluation” program going forward. The Illustrative Guide suggests using a four-pronged approach in your assessment. (1) Make an overall assessment of your company’s system of internal controls. This should include an analysis of “whether each of the components and relevant principles is present and functioning and the components are operating together in an integrated manner.” (2) There should be a component evaluation. Here you need to more deeply evaluate any deficiencies which you may turn up and whether or not there are any compensating internal controls. (3) Assess whether each principle is present and functioning. As the COSO Framework does not prescribe “specific controls that must be selected, developed and deployed” your task here is to look at the main characteristics of each principle, as further defined in the points of focus, and then determine if a deficiency exists and it so what is the severity of the deficiency. (4) Finally, you should summarize all your internal control deficiencies in a log so they are addressed on a structured basis. Another way to think through the approach could be along the following lines. A Principle Evaluation should consider “the controls to effect the principle” and would allow internal control deficiencies to be “identified along with an initial severity determination.” A Component Evaluation would “roll up the results of the component’s principle evaluations” and would allow a re-evaluation of the severity of any deficiency in the context of compensating controls. Lastly, an overall Effectiveness Assessment which would look at whether the controls were “operating together in an integrated manner by evaluating any internal control deficiencies aggregate to a major deficiency.” This type of process would then lend itself to an ongoing evaluation so that if business models, laws, regulations or other situations changed, you could assess if your internal controls were up to the new situations or needed adjustment. The Illustrative Guide has a useful set of templates that can serve as the basis for your reporting results. They are specifically designed to “support an assessment of the effectiveness of a system of internal control and help document such an assessment.” The Document, Document, and Document feature is critical in any best practices anti-corruption or anti-bribery compliance program whether based upon the Foreign Corrupt Practices Act (FCPA), UK Bribery Act or some other regulation. With the Illustrative Guide of these Illustrative Tools, COSO has given the compliance practitioner a very useful road map to begin an analysis into your company’s internal compliance controls. When the Securities and Exchange Commission (SEC) comes knocking this is precisely the type of evidence they will be looking for to evaluate if your company has met its obligations under the FCPA’s internal controls provisions. In subsequent blog posts I will take a look at how you might audit your compliance internal controls.